Aerial view of California Coastline along the Big Sur. USA homes line the cliffs overlooking the blue ocean. hd00:26Aerial view of California Coastline along the Big Sur. USA homes line the cliffs overlooking the blue ocean. 4k00:42Aerial views from the beach and reef of Cabo Pulmo, Mexico. 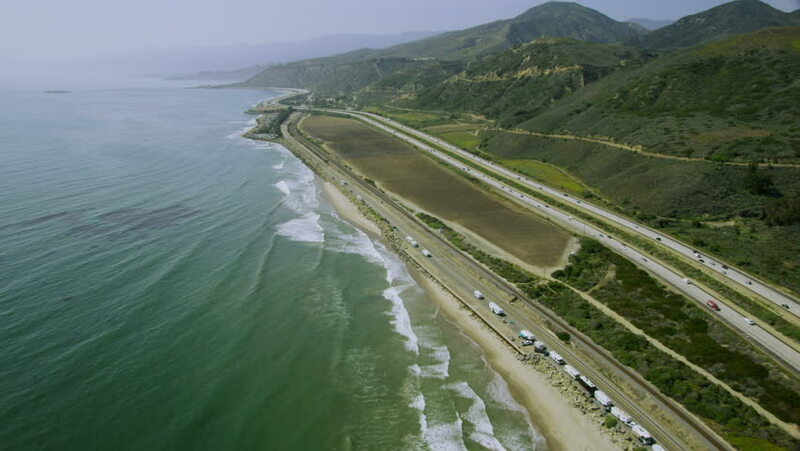 4k00:29California-2010s: A good aerial over an Amtrak passenger train traveling along the California coast. 4k00:30Aerial view of a scenic road during a vibrant sunny day. Taken in Cow Head, Newfoundland, Canada.